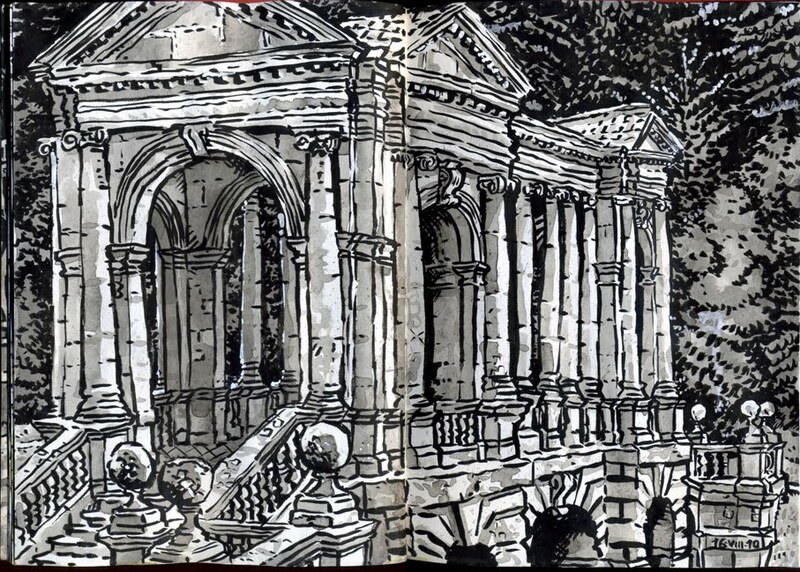 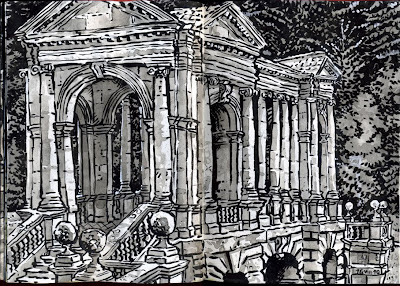 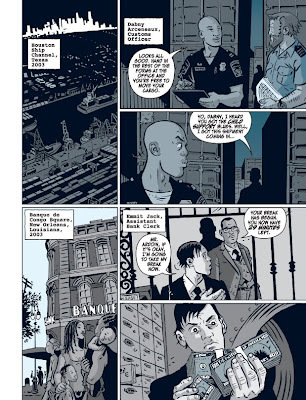 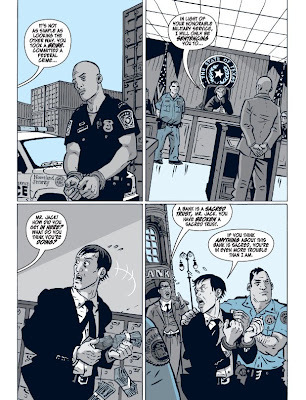 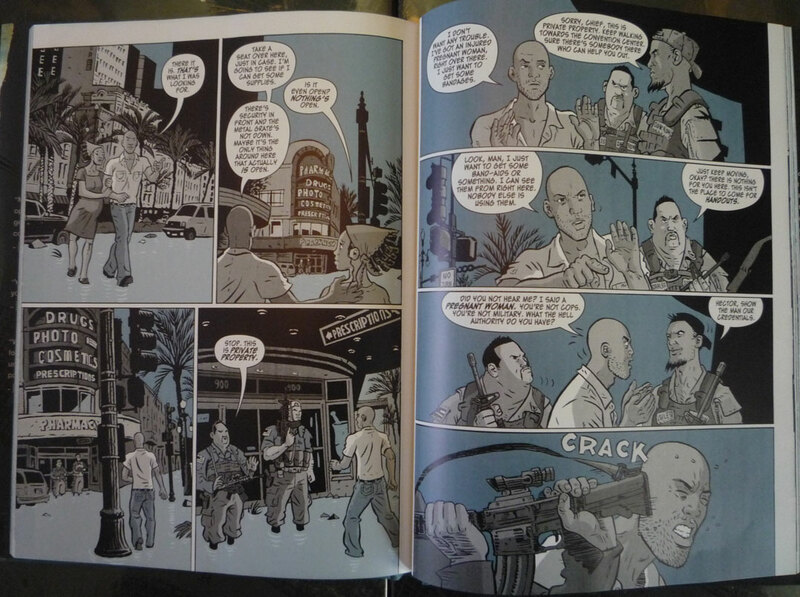 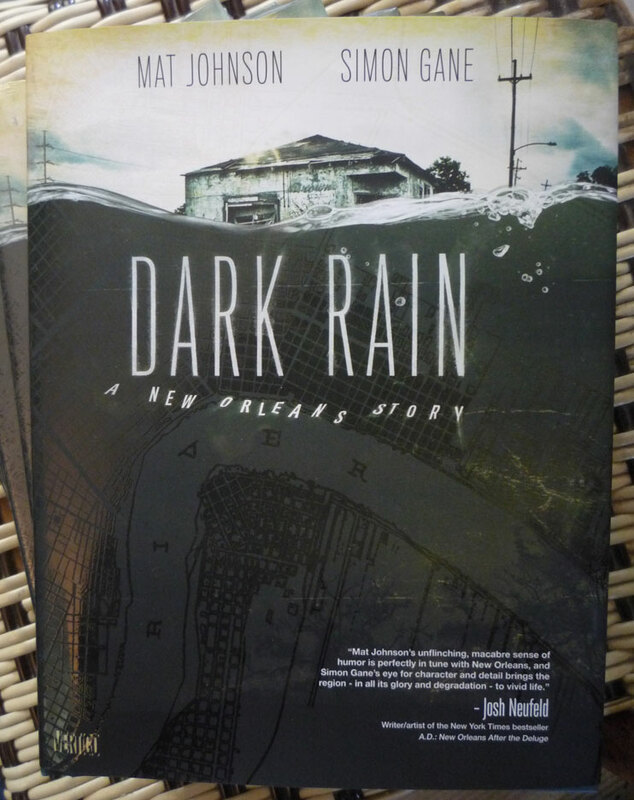 The Huffington Post have an 8 page preview of Dark Rain: A New Orleans Story, written by Mat Johnson and illustrated by me. 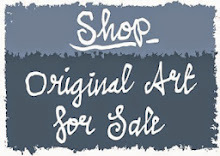 If you'd like to read it, please click here. 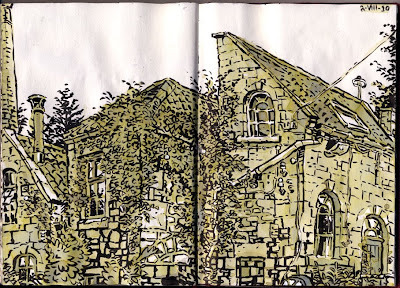 ...and a mill in the village of Monkton Combe. 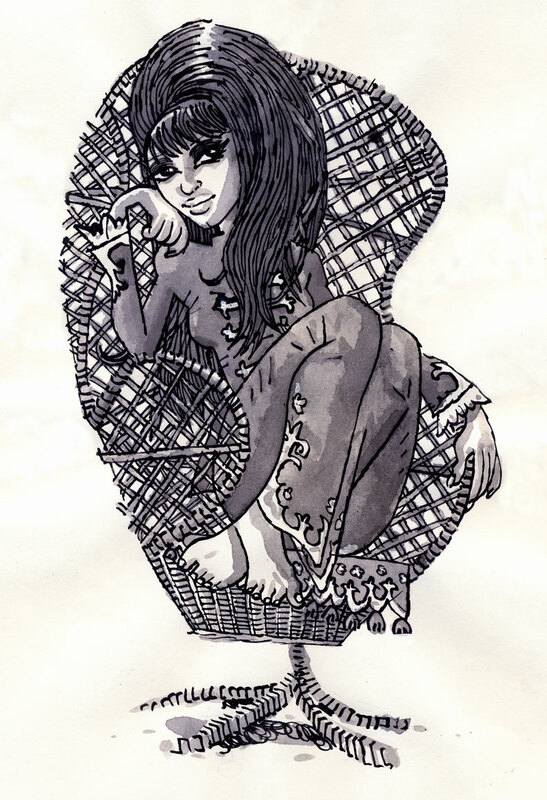 Yesterday I found myself drawing this Ronnie Spector type after admiring the Big Hair-do's on Jonathan Edwards' blog. 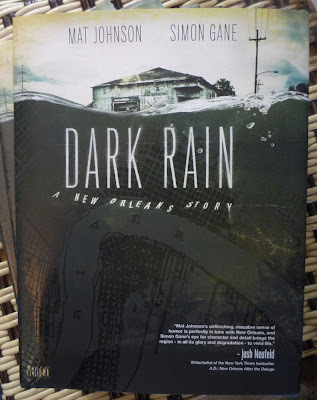 I recently received my copies of Dark Rain: A New Orleans Story, written by Mat Johnson, illustrated by me and and published this month by Vertigo. 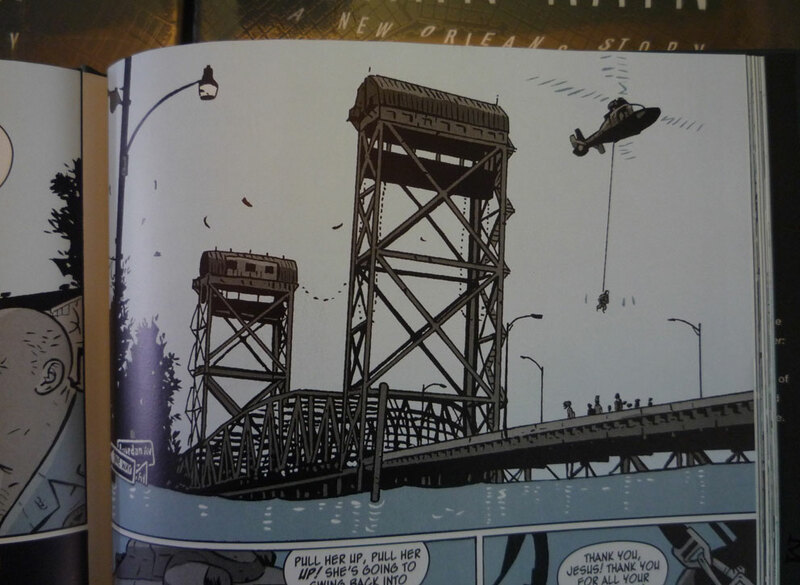 Here are a few poor quality snaps. 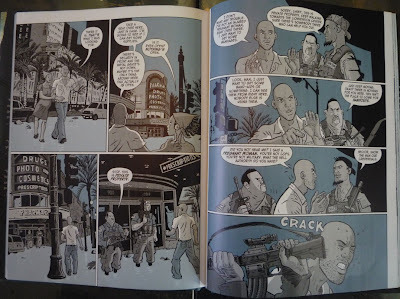 The fine cover by Nessim Higson has a nice spot varnish on it as well as a quote by cartoonist Josh Neufeld - a true honour. 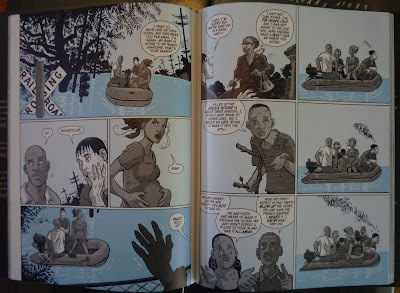 If you haven't read A.D.: New Orleans After The Deluge, you must. 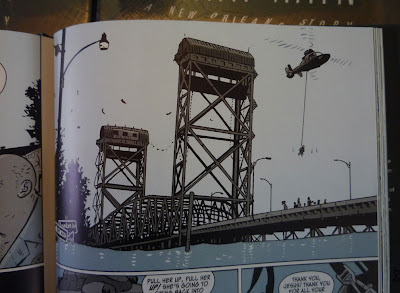 Here are a few photos of the interior - I've opted to show pages already previewed. The toning is by Lee Loughridge and these photos don't do his artwork justice. 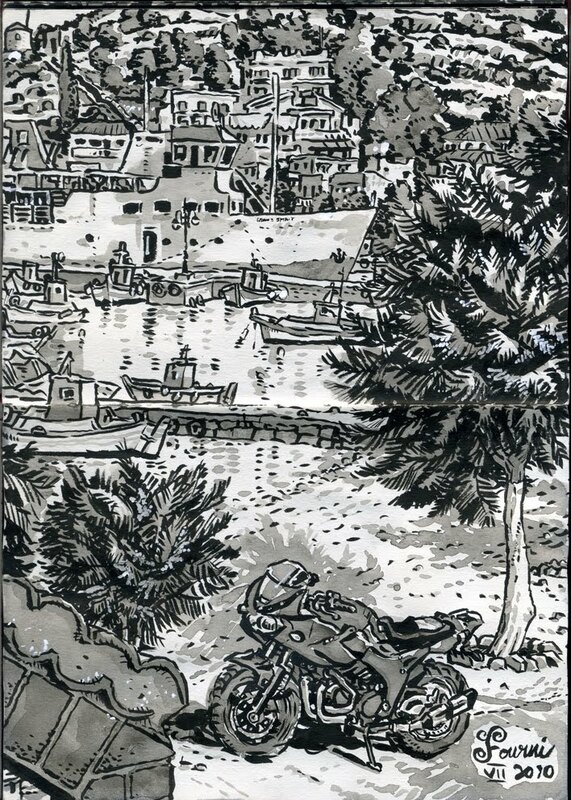 I think it's remarkable how much he got out of one colour. 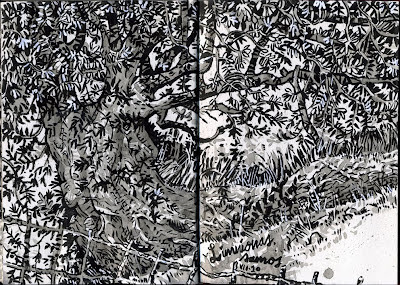 Mat writes about the book here. 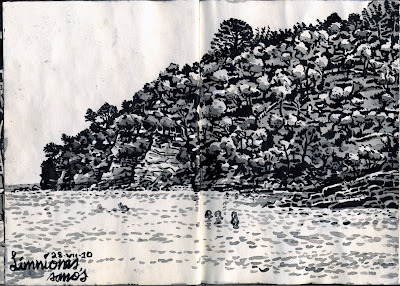 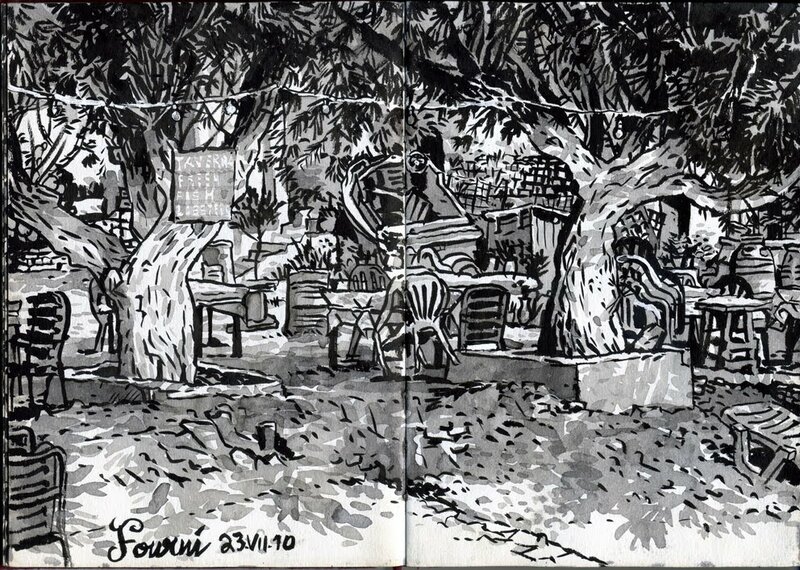 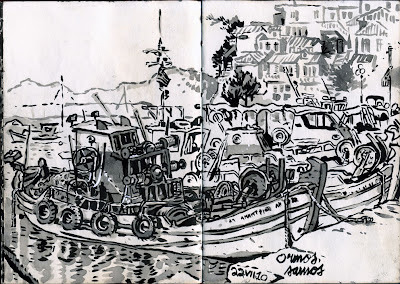 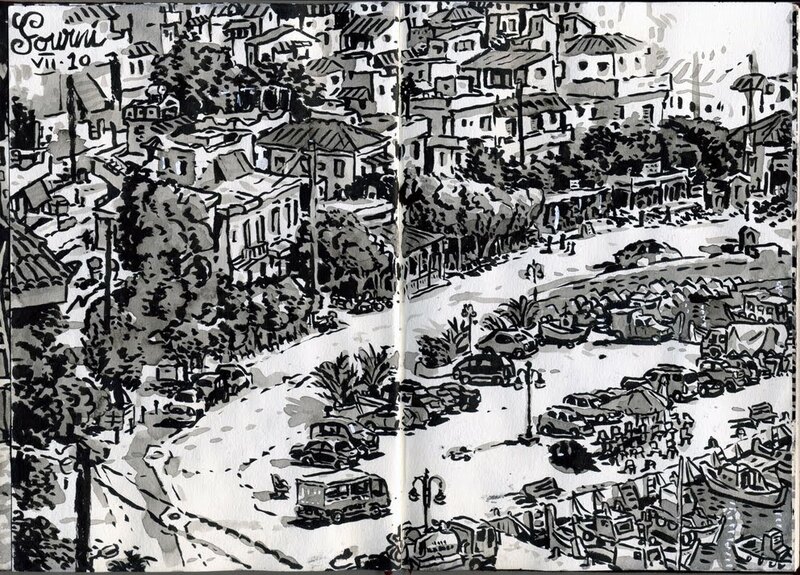 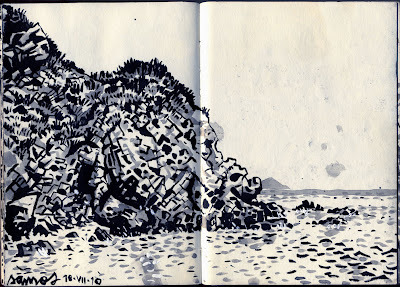 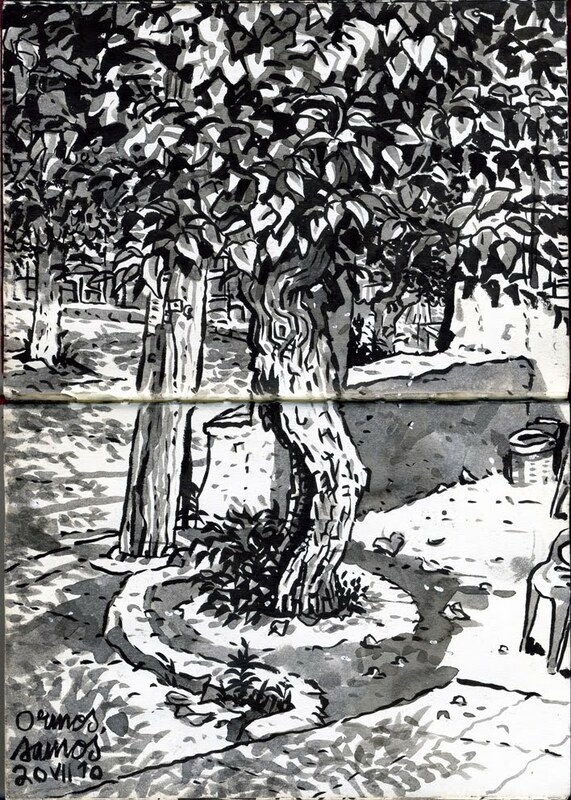 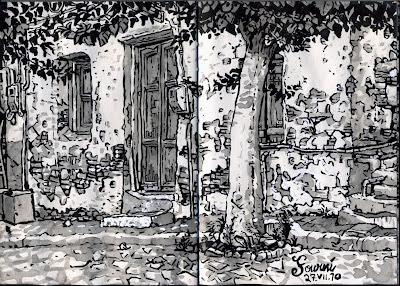 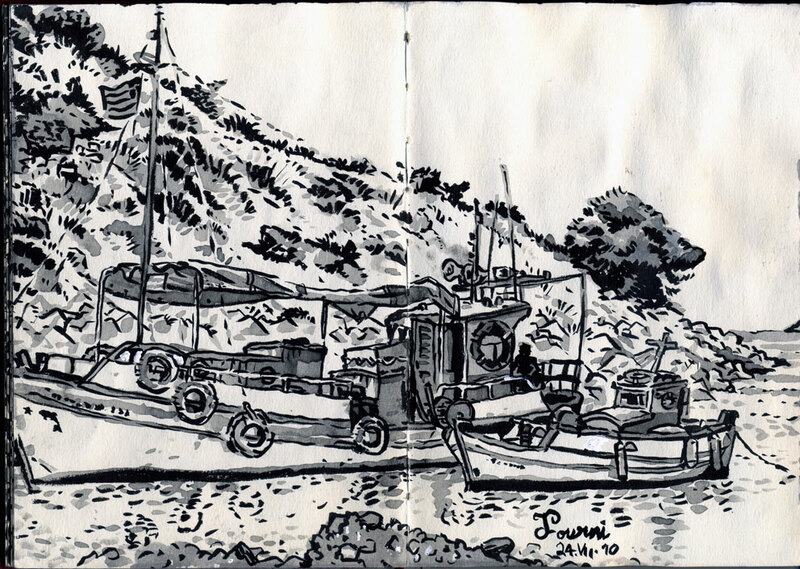 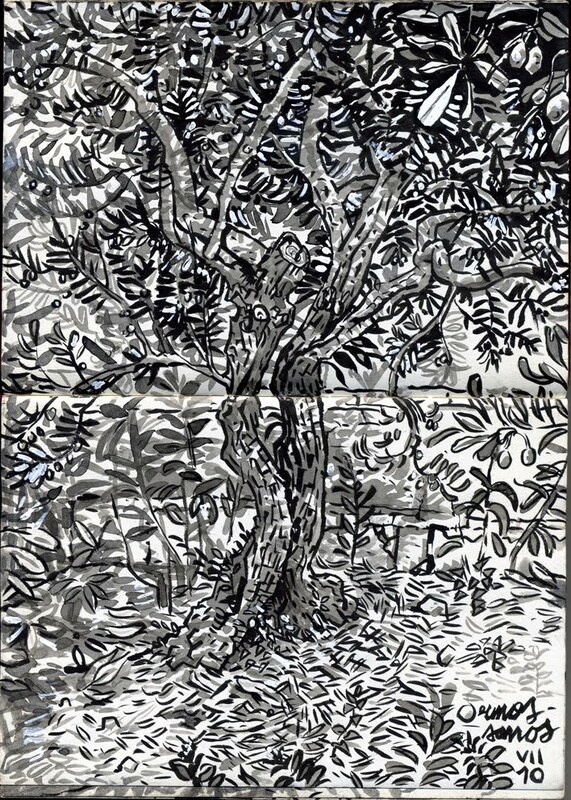 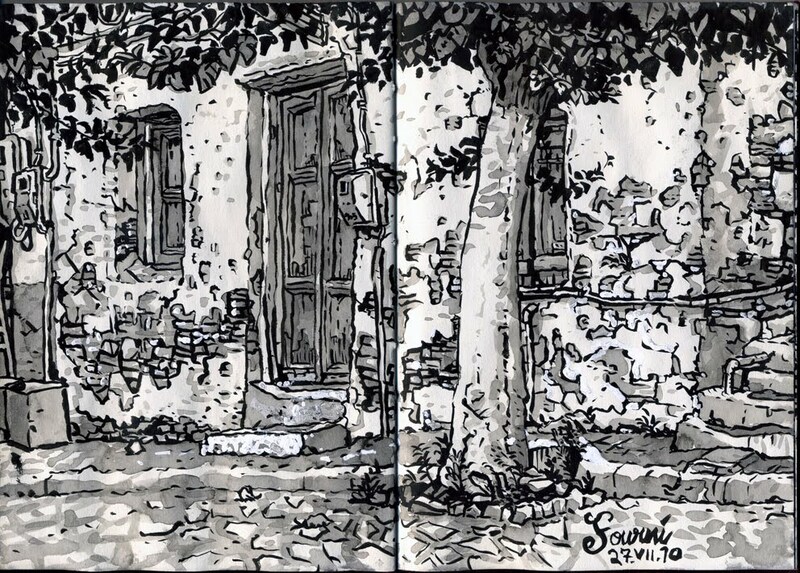 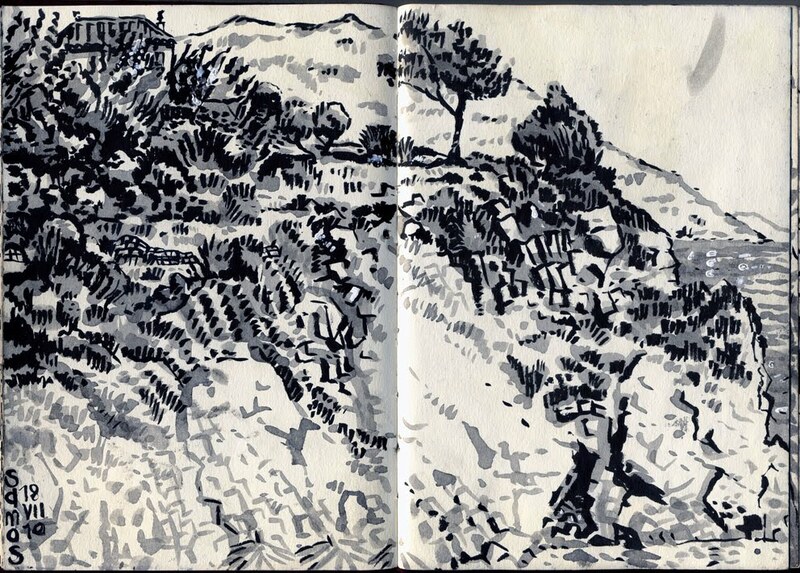 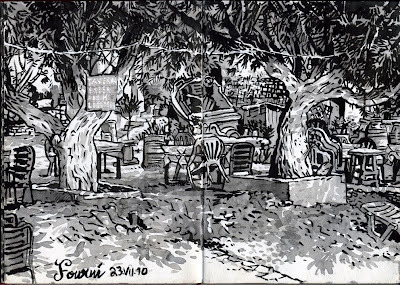 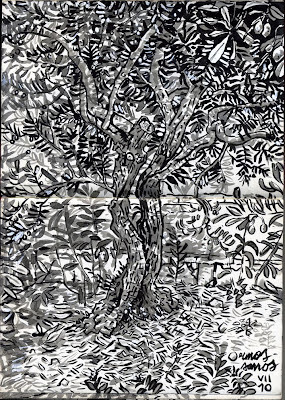 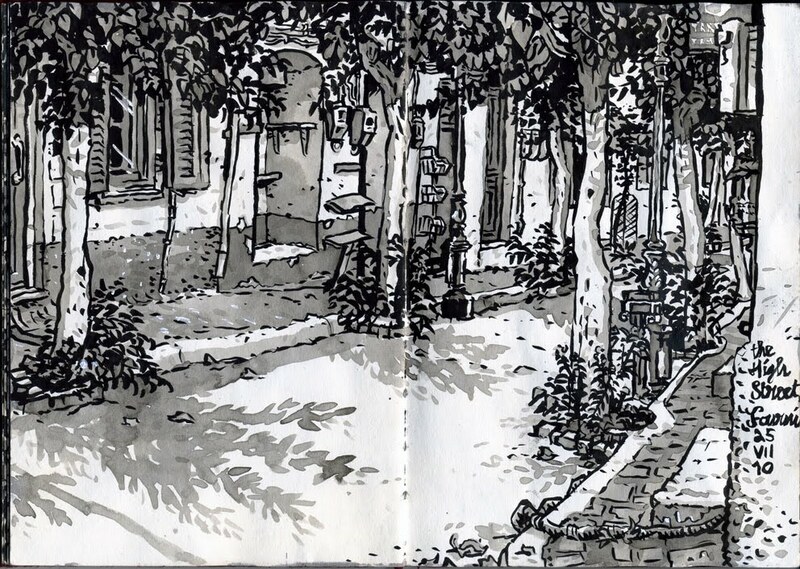 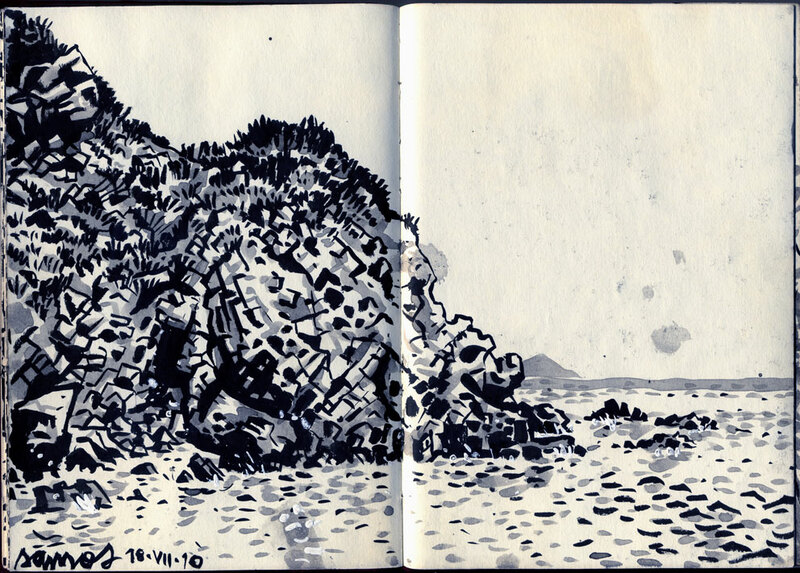 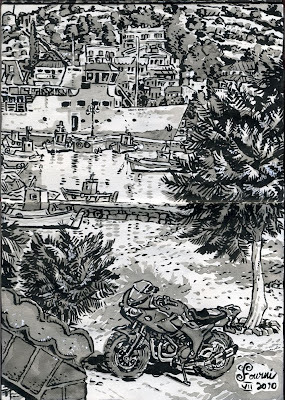 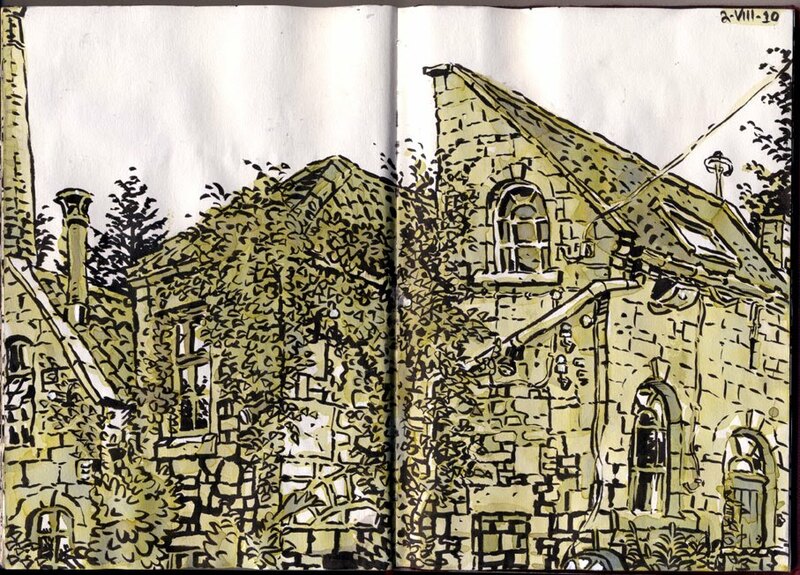 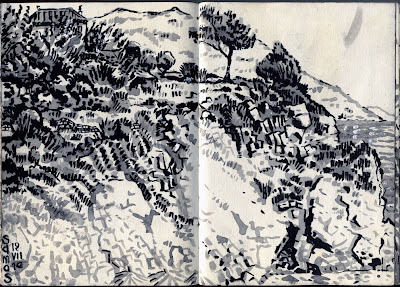 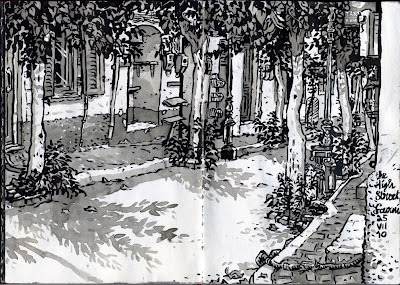 I've been on holiday to the Greek islands of Samos and Fourni and did some sketching. 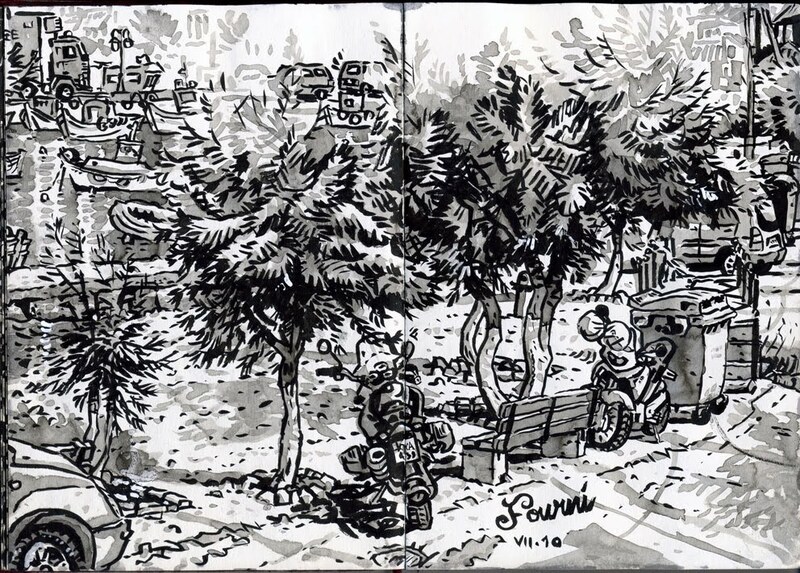 First up is a view of the main street in Fourni followed by the rest in the order I drew them. 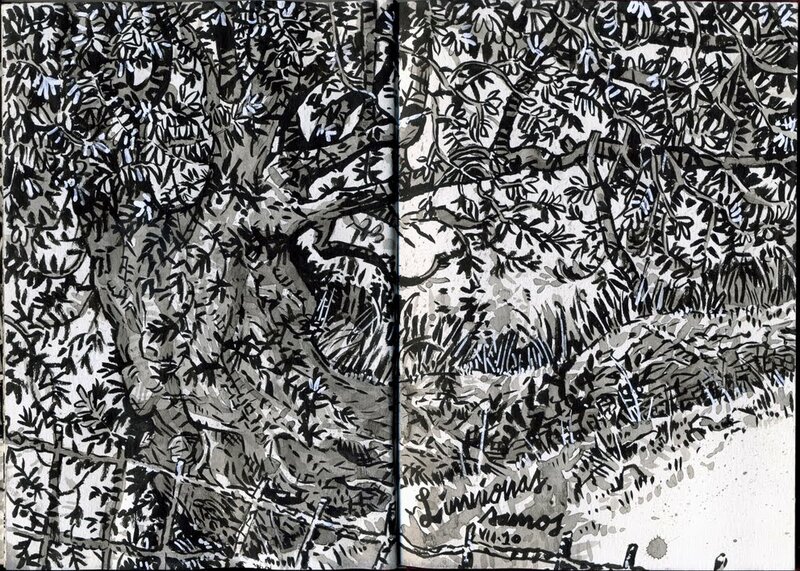 There's quite a few so I hope your eyes don't glaze over too soon! 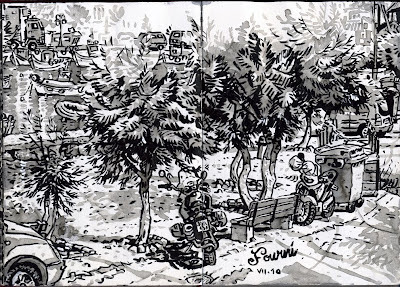 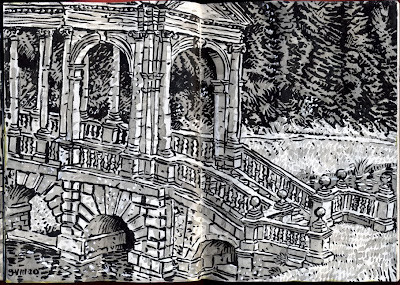 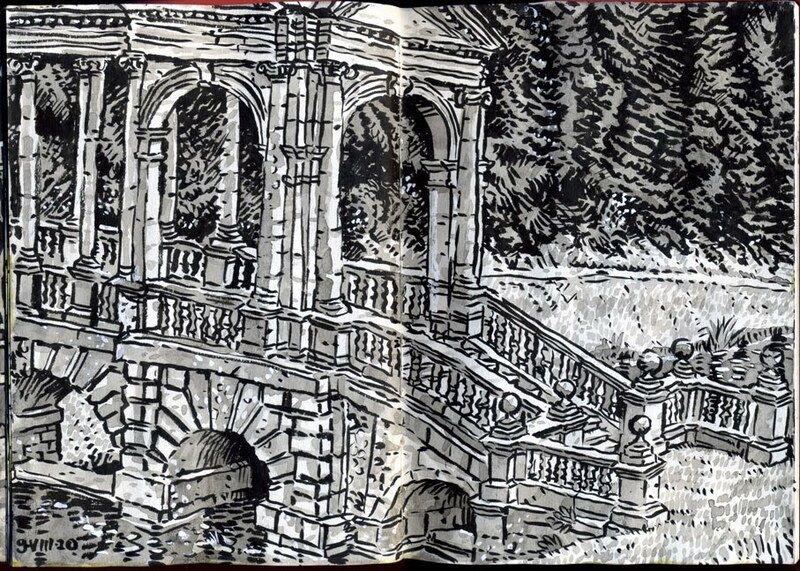 They're drawn with a Pentel pocket pen and wash in an A5 sketchbook.